This cache is part of an extension to Sadexploration's immensley far-reaching Church Micro series. This Church is a modern building in Earlswood near Redhill in Surrey. 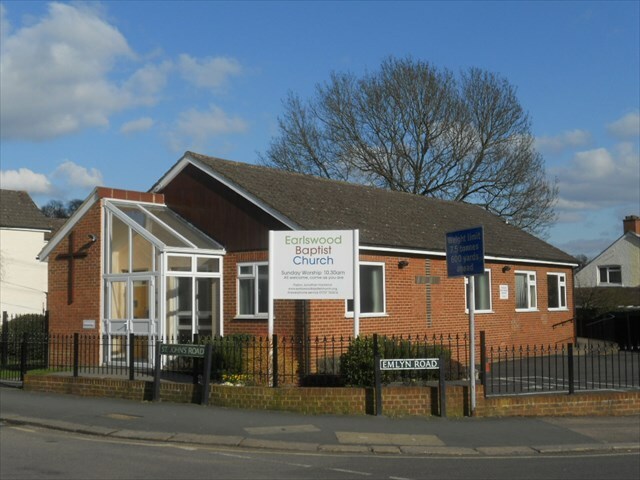 In 1909 Redhill Baptist Church planted a mission hall for children's work in Earlswood. This hall became more and more self contained over the years and in 1987 it became a church in it's own right . The present church building was literally built around the smaller, original, corrugated iron hall in 1978. The church interior was renovated in 2008. The church hall dates from 1997. The cache is a few hundred yards away so it does not clash with other caches in the area.